If you’re reading this while riding the New York subway during rush hour, you’re probably struggling to hold your phone while crammed between other passengers. And with the delays you faced, you’re likely already late for work. Ah, the joys of commuting. Whether you’re driving a car or taking public transportation like a bus or train, the process of traveling to and from work is rarely enjoyable. It always seems to take longer than it should, and it often gives you an unwelcome jolt of stress at both the beginning and end of the workday. The reasons for the subway problems are many and varied, from a huge increase in ridership and an “antiquated signal system” to a consistent lack of investment and trains that are breaking down more frequently than they have in the past, according to the New York Times. The Business Insider article notes that, as a result, delays have jumped from 28,000 per month in 2012 to 70,000 per month now. Public officials are struggling to develop both short- and long-term solutions to the subway system’s problems. But as they grapple with the issue, one way to ease the burdens on the system should be more seriously considered by the businesses that depend on those commuting workers. That potential solution is work flexibility. A variety of flexible work options could be helpful in New York—and anywhere else that faces commuting pressures, for that matter. The two most obvious are shifting schedules and telecommuting. When companies allow their workers to start their days either earlier or later than the usual 9 a.m., it spreads out the commute. Instead of everyone cramming into subway stations at the same time, some would arrive considerably earlier—say, 6 a.m.—while others could delay their travel until 10 a.m. or even later. Those staggered starts to the workday also would lead to a staggered finish, which again should ease pressure on the system. Granted, for some companies, this kind of plan simply won’t work. In certain cases, it’s a necessity to have employees present during the “regular hours” of 9 a.m. to 5 p.m. But for companies that don’t have that requirement, schedule shifting could not only help with subway problems, but also reduce the frequency of worker tardiness or absenteeism. And that doesn’t even take into consideration the benefits to workers. Schedule shifting of this nature should greatly reduce their commute-related stress, which could have a direct impact on productivity when they are in the office. It could also allow working couples to more easily share child-care and other duties, if one parent goes to work early and the other leaves a few hours later. Such family matters are important to keeping workers happy, which can have a direct impact on employee retention. Allowing people to work from home could have an even greater impact on the overcrowded subway system. Every worker who has the opportunity to complete her daily tasks from her den or kitchen table is one less person trying to squeeze into a train car. Again, some companies must have their employees on-site in order for them to do their jobs. But an increasing number of jobs can be completed miles away from the office. Constantly improving communication and collaboration technologies create more such opportunities all the time. Companies that could allow telecommuting, but haven’t yet done so, should give it a try. They could let a handful of workers do their jobs from home one or two days a week for a few months, getting a feel for what works and what doesn’t. If the experiment goes well, those organizations could start to develop a formal flex policy that includes remote work options. They may find that their telecommuting workers are actually more productive than they are when they have to travel to and from the office. They’re also likely to be happier without that daily stress, and they may be both physically and mentally healthier. 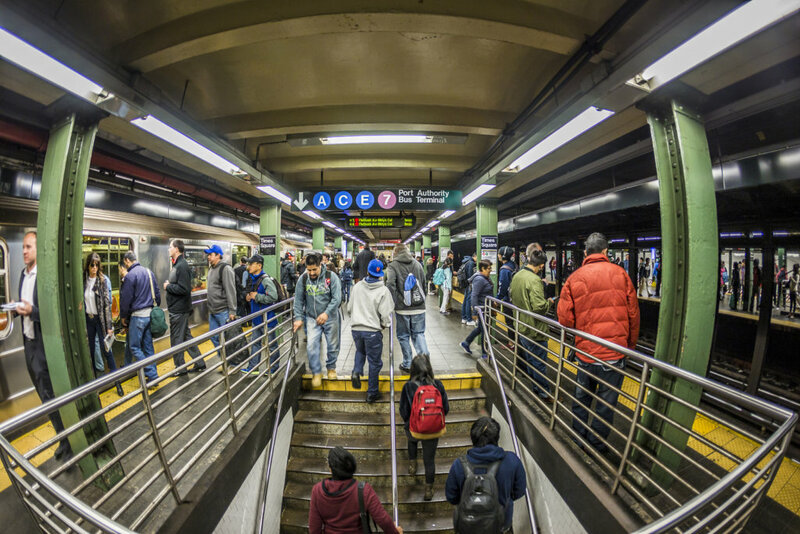 While allowing the flexibility of shifting hours or working from home won’t solve all of the problems related to the New York subway system, such options could provide a little breathing room for public officials as they try to develop more long-term solutions. And who knows? As businesses allow more flex, they may find it works so well that they continue to expand their work options, even if the transit system gets back on track. Have you had problems with your commute on the New York subway, or on other public transit systems? How does your commute affect your workday? How would shifting hours or telecommuting help both you and other commuters? Please share your ideas in the comments section.